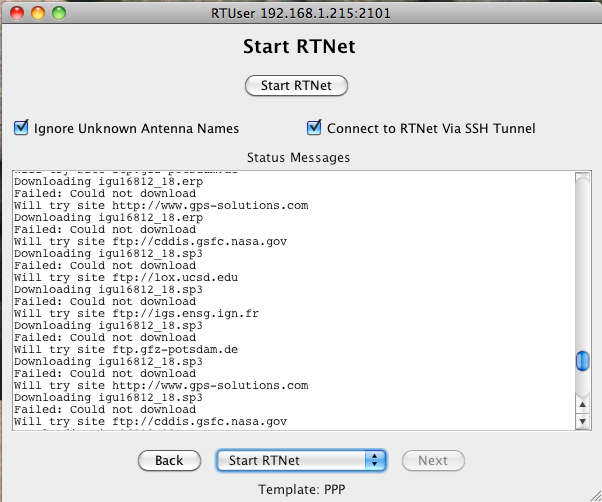 While RTNet can be configured using the command line, RTUser provides a simple Graphical User Interface (GUI) for the rapid creation of new configuraiton files. 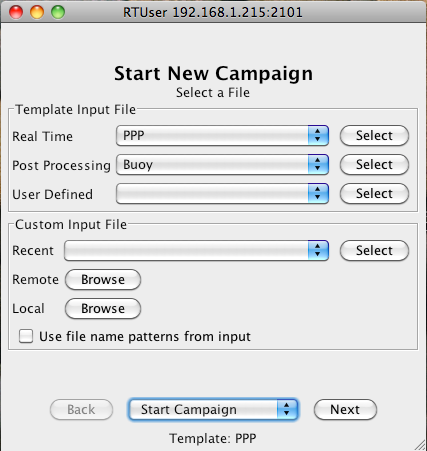 The RTUser application is written in Java and platform independent. User can choose specific template input file from multiple choice. 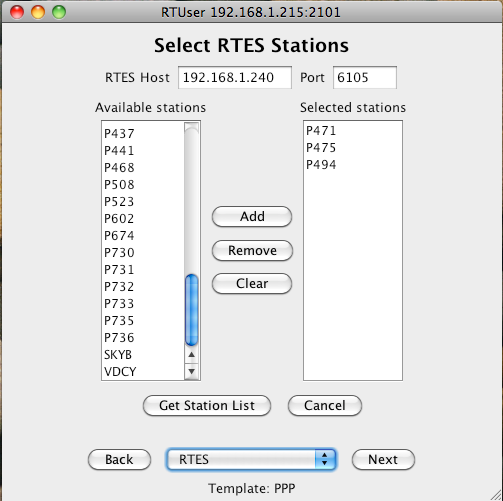 Any stations registered in RTES xml file (UNAVCO real-time stations in the captured image) can be added/removed for real-time processing. RINEX files are selected for post-processing campaign. Satellite products (orbit/clock) and all related prodcuts such as ATX and DCB are atomatically downloaded and RTNet processing starts in server. Java (runtime) is needed to run RTUser. Please contact with email: info@gps-solutions.com .